The Apollo 13 Moon Mission [ Houston, we have a problem ] was saved due to extraordinary courage and persistence in collaboration with those on the ground whose critical and creative thinking hacked a solution with the limited resources on board the space craft. Apollo challenges help develop those thinking skills by designing challenges that limit resources and time to create a solution. Students become better over time, especially with debriefing. 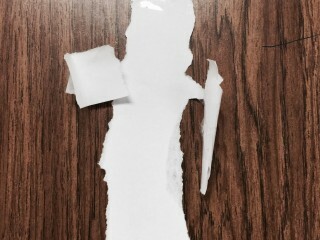 Example: In three minutes with one piece of 8-1/2 by 11 inch paper and one two inch piece of tape, create a Statue of Liberty. This incredible experience from the Imagination Foundation invites kids to build things from cardboard. Less "design under constraints," this is more of an open-ended invitation to be creative and make whatever you want. The Marshmallow Challenge, from Tom Wujec, is a “remarkably fun and instructive design exercise that encourages teams to experience simple but profound lessons in collaboration, innovation and creativity.” I’ve done this activity with both kids and adults and had fantastically rich (and fun) experiences with design thinking around it. This work by Sheri Edwards is licensed under a Creative Commons Attribution 4.0 International License.